On the morning of May 5th, two high-ranking experts from Saint Petersburg, Russia paid a work visit to BDU. These experts to BDU are Prof.Dr. Makarov Sergei Borisovich, Chief of Physics-Nanotechnology and Telecommunication Institute, and Assoc.Dr. Malughin Victor Ivanovich, Director of International Education Institute under Saint Petersburg Polytechnic University. 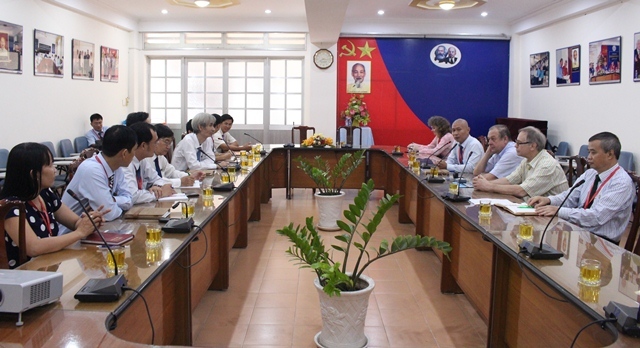 Prof.Academician Cao Van Phuong, BDU Chairman of the Board and President; Dr. Cao Viet Hieu, BDU Deputy Chairman of the Board and Standing Vice-President; and representatives from faculties of Electrical-Electronics, Computer Science, Bioinformatics; department of International Relations and the Russian-Vietnamese Center warmly received the Russian delegation. At the meeting, the two sides discussed the efficiency of the mutual cooperation over time and an action plan for the time ahead. Particularly, the two partieswill work on for the exchange program of faculty and students. Theaim is tocooperate in the set up and design of the training program in line with the international trend of standardization for BDU disciplines of Electrical-Electronics and Computer Science. Saint Petersburg Polytechnic University was founded in 1899 and is a multi-discipline institution of engineering. It is one of the top research foundations in Russia as well as a premium training organization in the areas of applied physics and mathematics, technologies of industry, chemistry, and aerospace among others. At present, SPPU is one of the top 200 universities of the world. 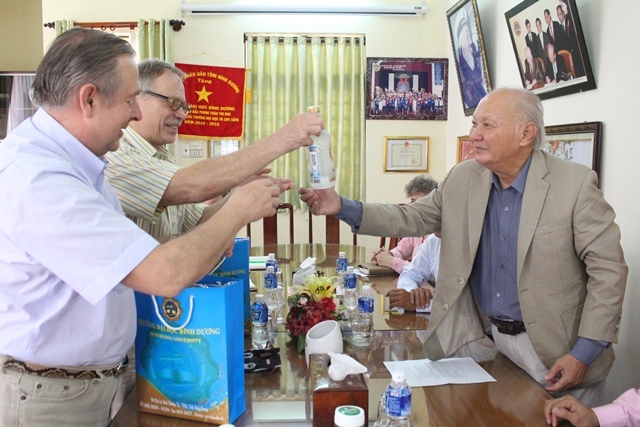 BDU is one of the first schools of Vietnam to have signed the cooperative agreement with SPPU in order to offer bachelor, master and doctor degree programs. 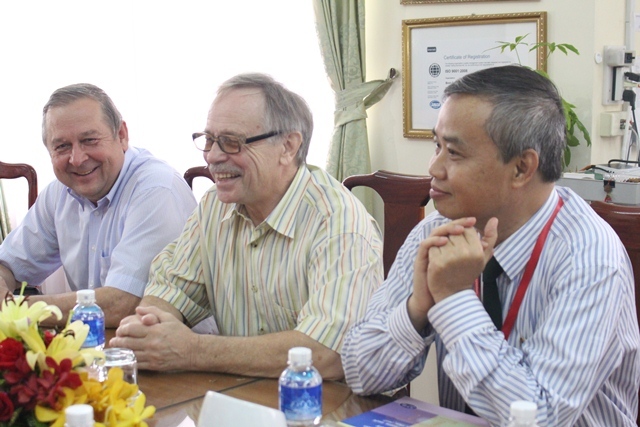 Since 2008, the two schools have jointly trained and provided a plentiful workforce for Binh Duong province. In acknowledgement of such the cooperative accomplishments, BD People’s Committee granted a Certificate of Commendation to SPPU for its great contribution to training bachelor, master and doctor degree students for BD province. Currently, BDU and SPPU continue to strongly develop a range of cooperative programs for BD students in particular, and Vietnam in general, as we approach the training demands of international standardization.